Terry Irwin is the Head of the School of Design at Carnegie Mellon University. She was also one of the founders of the international design firm MetaDesign, which has worked with such brands as Apple, Nike and Nissan. She has been a practicing designer for more than 40 years and has taught courses at numerous places on ecological design thinking and design process to designers and non-designers alike. This experience in particular convinced her that complex issues can only be solved by collaborating with others from many different fields, and that design plays a major role in this collaboration. 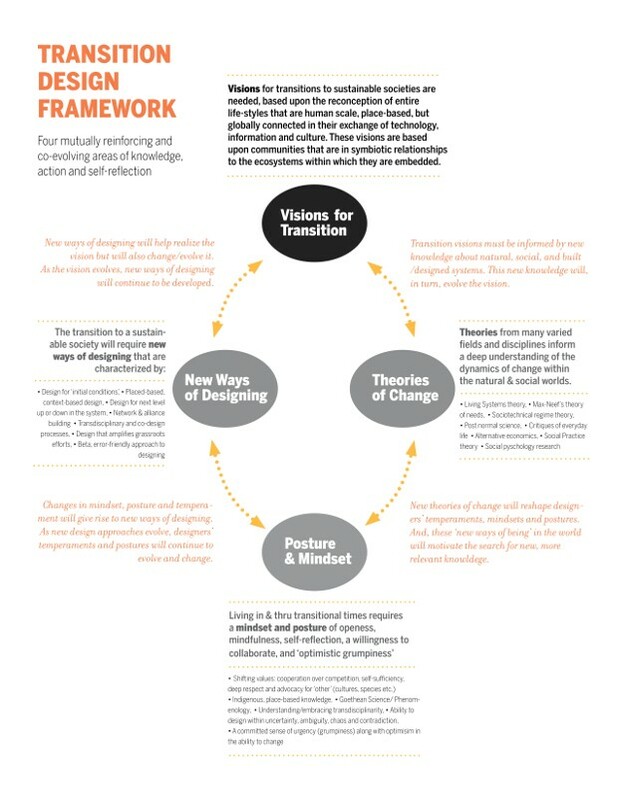 Additionally, Irwin teaches the newly launched study of “Transition Design”, which she defines as a “speculative, experimental form of design practice and design research dedicated to conceiving long-term models for sustainable lifestyles.” Her goal for Transition Design is to teach designers how to design effective solutions for complex problems within social and environmental systems by thinking in terms of the future and sustainability. 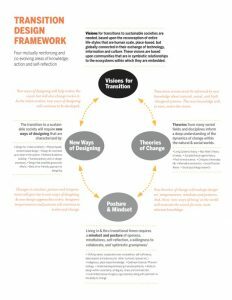 She emphasizes four mutually reinforcing areas of knowledge, action, and self-reflection: visions for transition, theories of change, posture and mindset, and new ways of designing.